The goal of PositiveVision's Business Management Systems Optimization service is to review your current business accounting software in relationship to your business goals, and offer recommendations on how you can optimize your ERP and MRP program(s). Custom sales order entry with step by step instructions enabling anyone within the organization the ability to easily place an order. Procedure reviews to ensure that the workflow in place makes sense for the system you are using, and provides the highest level of business process automation possible. Training programs to ensure your staff is using the system capabilities to your greatest advantage. A computer consulting review to ensure that you are maximizing your resources, and getting the most out of your business accounting software. 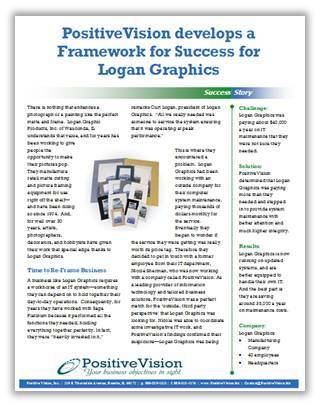 PositiveVision has been the choice for many organizations in the Greater Chicago, IL area since 2002. Our desire is to help you grow and fill the gap between where you are and where you need to be with your business management systems. We operate with one goal in mind, to keep your business objectives in sight at all times.